With the increase in requests for bed bug treatments, this article looks at why the services of a bed bug control specialist are essential to eradicate these blood sucking parasites. Bed bug infestations can have devastating effects on businesses and cause misery to households. The loss of reputation to a business can have serious financial implications which is compounded by the swift spread of negative reviews on social media. Homeowners and tenants are often tempted by the quick fix solutions offered on the internet, which invariably fail and often these DIY remedies make the issue much worse. Bed bugs are specialised parasites that have evolved to feed on our blood. These adaptations include the ability to hone in on our body temperature, the CO2 emitted in our breath and other chemicals cues that we emit . They are flattened in shape which allows them to hide away in nooks and crannies – usually as close to where we sleep as possible. When bed bugs bite they inject an anaesthetic that numbs the bite area and an anticoagulant that prevents the blood from clotting. 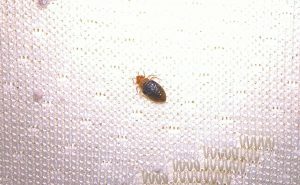 Bed bug infestations can rapidly proliferate due to the daily laying of eggs by the females and the newly hatched nymphs (young bed bugs) being able to feed on the human host immediately. 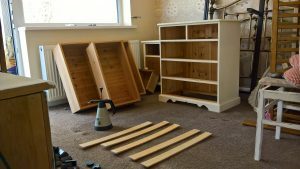 Second hand furniture – beds, bed frames, sofas, furniture, carpets etc. Luggage used on holidays, business trips or visits to friends/family. On people via clothing and footwear. Sometimes bed bugs can be already in the newly occupied home and emerge from dormancy to afflict the new occupiers. It has been recorded that bed bugs have survived up to 12 months without a blood meal. Armed with this information, it is clear that bed bug infestations present a significant challenge that requires the expertise of a bed bug control specialist. The key to a successful treatment is a thorough survey of the affected property to determine the extent and level of the bed bug infestation. This survey involves looking for signs such as bed bug eggs, nymphs and adults. We also look for shed bed bug skins and spotting (when digested blood is excreted and causes staining). 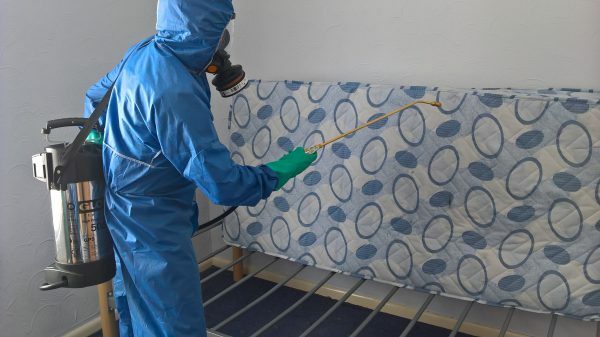 Due to the nature of bed bugs hiding away in miniscule gaps, the survey will require the investigation of mattresses, bed frames, under carpets, skirting boards, radiators, furniture etc. Following this survey a treatment programme can then be formulated that includes some pre-treatment recommendations for the owner that will ensure a successful treatment. This includes information on vacuuming, washing and tumble drying of clothes and bedding and the the freezing of items that cannot be washed. The treatment process necessitates a forensic approach so that no bed bug harbourage site is left untreated. The professional insecticdes that we use are the best on the market and are specially formulated to be effective against the target pest as well as being safe to the householder. To ensure the effectiveness of the treatment, we always conduct follow-up visits. 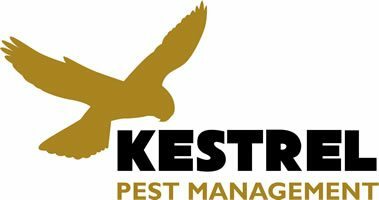 At Kestrel Pest Management we have many years experience dealing with bed bug infestations. 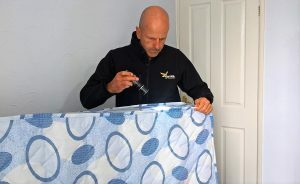 We offer a comprehensive bed bug control programme that will deal with anything from the odd bed bug being introduced via a holiday away, to the long standing infestations where previous attempts at control have failed.